Pacific NorthWest Fresh, Pre-Prepped Meals to go. Are you ready to fuel your adventure? We use only the freshest ingredients sourced locally and prepared the day before you set sail. When you choose our service, your yacht will be stocked prior to your arrival with a variety of easy to prepare foods, fresh fruits, vegetables, baked goods and snacks. Our boat friendly packaging will keep your meals fresh, reduce waste, as well as add a touch of elegance! From tuna and Pacific salmon to homemade mac & cheese and gourmet Frito pie, garden-fresh salads and decadent desserts. Lunch will feature an assortment of sandwiches, soups and salads! Imagine spring mix, tomatoes and toasted nuts with house made roasted garlic vinaigrette or a roasted red pepper soup with a fresh baguette. For entertaining we can do a variety of cheese, meat and vegetables platters. 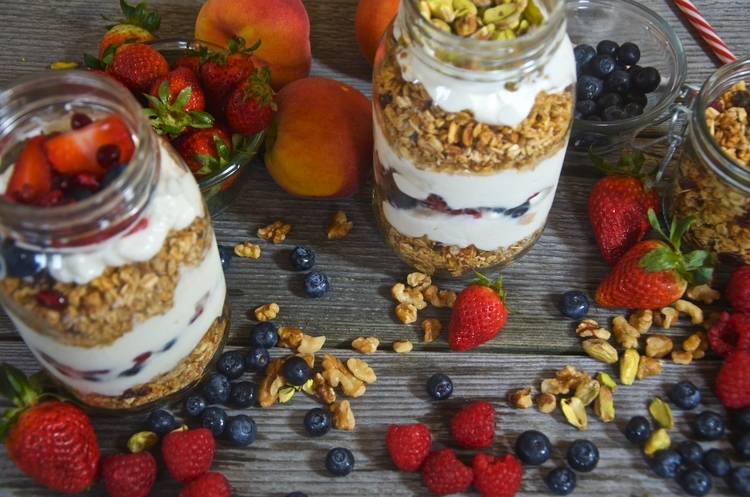 We offer quick breakfast options for those on-the-go mornings or eggs and flapjacks to keep you well fueled for a day of cruising in the San Juan Islands and beyond! Meet Your Galley Girls – Patricia Brown and Carey McLeod! They’ve been friends for 16 years, a pair of fun loving hard workers with a love for the food industry. 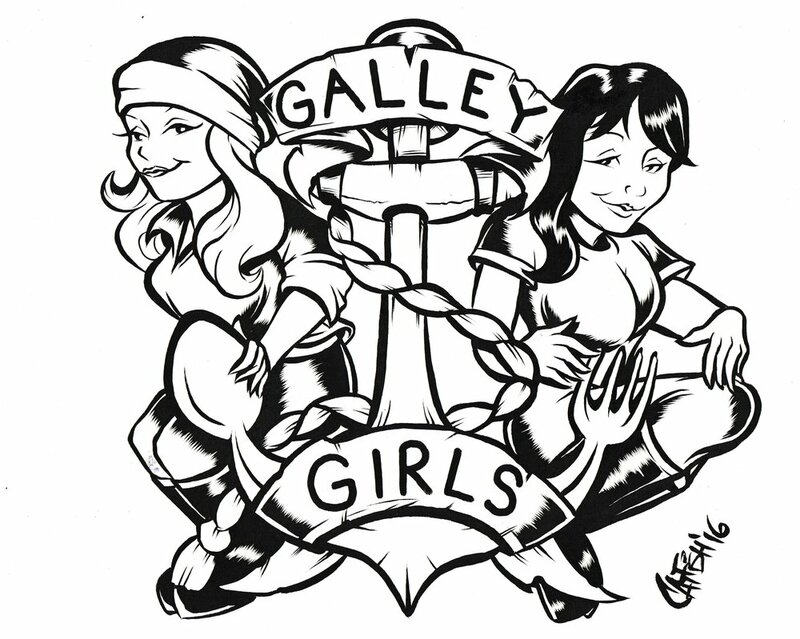 Galley Girls, the fruit of their labor-of-love… FOOD! Combined with a passion for boating, they get what it takes to satisfy a crew! Patricia is an accomplished restaurant owner that catered to the downtown Theater scene in Houston, TX. It was there where she learned about diversified recipes and preparation secrets and in doing so, launched her passion for cooking and added a catering company. She catered events to hundreds of people, weddings and even Bob Dylan and his staff when they were in town performing. Her recipes derive from her passion for sailing and challenges for quality food in a small galley. The outcome; un-compromised, flavorful meals that can be cooked anywhere. Carey spent many years working with one of the biggest restaurant families in the country, Pappas. While there, she learned about managing high volume and being well organized. She came to understand that fresh ingredients were ‘KEY’ to making the perfect dish. Carey also brings a vegetarian flare to the menu possibilities. With her natural talent to please and her Texas southern home cooking personality, your mouth will water when the plate hits the table. They both left the food industry to work for an events company and traveled the world promoting and developing gourmet housewares. Their taste senses were constantly being introduced to new flavors from around the Globe. Sitting in a small café in Toronto one day, they discovered their combined abilities as two strong women, they could definitely take on the world. They decided they needed a change in life, so they resigned and made it happen! After a baby, a move North and the naming of a God Mamma (Carey), they opened a catering/provisioning company that stands apart from others - ‘Galley Girls'. Catering to yacht charters in the beautiful PacNW waters; your menu is designed to fulfill the needs and wants of all the crew aboard, with the freshness of the NW in mind. Menus can be personalized or provisioning can be provided to keep everyone happy! Galley Girls' goal is for charter guests to be wowed by flavor and presentation. With individualized attention to detail as the company’s cornerstone, Galley Girls has won a reputation for impeccable service, cutting edge packaging and delicious cuisine. Bon Voyage & Bon Appetite!